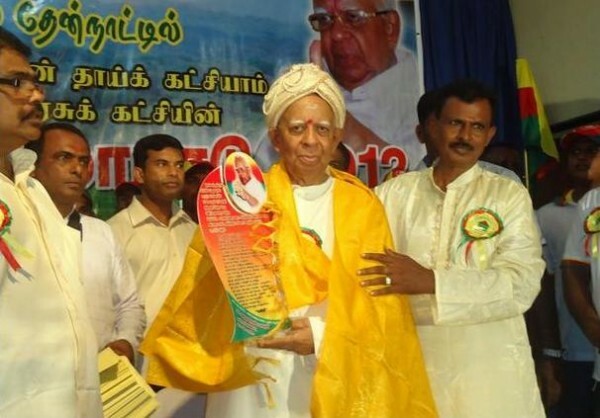 Whether he intended it or not, TNA leader R. Sampanthan’s speech in Batticaloa two weeks ago has stirred up a hornet’s nest. The occasion was the 14th National Convention of the Ilankai Tamil Arasu Kadchi (ITAK), once known in English as the (Tamil) Federal Party. The speech became the subject, and the object, of interpretation in the editorials and commentaries from last Sunday onward. Their burden is Sampanthan’s mysterious allusion to the right of “external self-determination” of the Tamils and non-violent pursuit of their “soaring aspirations.” Without these isolated sparks, the speech may have been a damp squib and Kumar David’s thesis (Sunday Island, 28 May 2012) that “the dominant factor in Lankan politics is no longer the Tamil question” would have been validated within a week of its externalization. Even a cursory reading of the speech will indicate that there is much more to it than the two distractions. In fact, there was a heck of lot more in the speech. There were almost a dozen themes each receiving no more than one-paragraph treatment, the main ones being: the genesis and history of the ITAK, its succession by the Tamil United Liberation Front (TULF), their rise and fall of the LTTE, the transitions from non-violence to violence and back again to non-violence, the Indian involvement, and finally the continuing postwar stalemate involving the Sri Lankan government, the TNA, India and the international community. The multiple themes were pulled together into a reasonably coherent and occasionally contradictory presentation. Contradictions were inevitable with Mr. Sampanthan having too much ground to cover, too many stakeholders to connect, too many issues to address, too much pessimism to dispel, and too little optimism to inspire. The recurrent message in his speech was ‘patience’ – delivered specifically to his Tamil constituencies. He recognized the global reality of the Tamil diaspora but reminded everyone that the centre of gravity of Tamil politics is within Sri Lanka and not elsewhere. The speech tried to reopen the now broken umbrella of ‘Tamil speaking people’, recklessly broken by the LTTE. 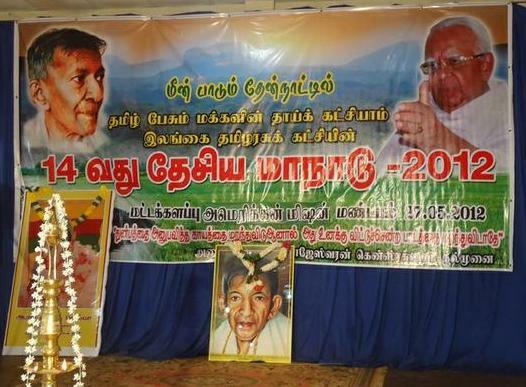 Sampanthan also addressed his “dear Sinhala friends”, something his predecessors rarely did. The government came in for deservedly harsh treatment along with avuncular advice to the co-opted Tamil groups supporting the government. There was a passing reference to joining hands with the progressive forces among the Sinhalese and plenty of special pleadings directed at India and the international community. “Magnificent and clever speech” was LSSP Senator Doric de Souza’s not so left handed compliment to the maiden Senate speech of M. Tiruchelvam, Q.C., in 1965. The senior Tiruchelvam, the Federal Party representative in Prime Minister Dudley Senanayake’s1965 cabinet, the first and the only Federal Party (ITAK) cabinet minister in a Sri Lankan government, was justifying the controversial decision of the Federal Party to join the National Government (1965-70) of Dudley Senanayake. Doric de Souza knew his English adjectives better than anyone else in Sri Lankan political life, and one of the two adjectives he chose to qualify Tiruchelvam’s speech in 1965 has now been applied to Sampanthan’s speech in 2012. The mixed signals in the speech, whether sent intentionally or not, produced mixed responses. But while the intentions of Mr. Sampanthan may not be clear, there is nothing unclear about the intentions of the interpreters of the speech. They range from those taking a balanced view like the Sunday Island editorial to others who view the two squibs in the speech as vindication of their opposition to any kind of political solution, and a dozen other viewpoints in between. Interpretation of the speech is in the mindset of the interpreter. But it may seem to fair to ask as to what the intention of Sampanthan is. Is he a wolf in sheep’s clothing or a sheep in wolf’s clothing, as another Sunday editorial mused? But a more positive approach would be to examine the implications of the speech without isolating the speech from its political circumstances. The throw back to Tiruchelvam and Doric de Souza in 1965 also serves to illustrate how far the country has slid down in 47 years. Looking back, after the language turbulence of the 1950s and early 1960s, the 1965-70 years could be seen as halcyon days before the explosion of the national question. Yes, it was a truce between the Sinhalese and Tamil bourgeoisie, and the Old Left got it wrong in denouncing it rather than supporting it, forgetting its own theory that the resolution of the national question is historically a bourgeois-democratic task. The mistake was constitutionally entrenched in the First Republic which inadvertently set the stage for the Second Republic. These facts must not be lost sight of in the LSSP nostalgia marking the 40th anniversary of the First Republic. Be that as it may, it was not Sampanthan’s purpose to go into historical details or dialectics and perhaps it sufficed his purpose to simply trace over the many transitions in Tamil politics, and attribute them to the intransigence of successive Sri Lankan governments and the insensitivity of the Sinhalese political leadership. What was left unsaid is that Tamil political transitions were also determined by electoral competition and political differences among the Tamils. I have said this before but the point needs to be stressed again to counter the interpretation of Sampanthan’s speech as a manifestation of some autonomist-secessionist continuum in Tamil politics. Academic theorizing is one thing but discerning between fantasy and politics as the art of the possible is quite a different matter. 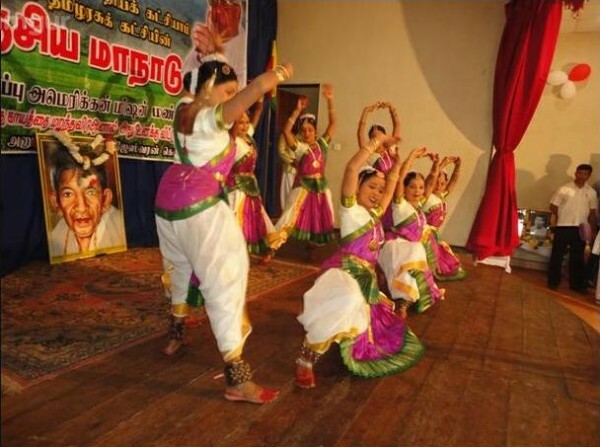 The founding of the Ilankai Tamil Arasu Kadchi (ITAK) has often been cited as evidence of Tamil political leaders thinking of a separate state as far back as 1949. This is paranoia in hindsight for there was no reason and there is no evidence between 1949 and 1972 that any Tamil political party of consequence even flirted with the idea of separation. Those who did were in the lunatic fringe and were treated as such. Mr. C. Suntheralingam, the first prominent Tamil to float the idea of separation, had been a Minister in the first cabinet after independence and as a maverick proponent of Eelam was repeatedly defeated in every election and by-election he contested after 1956 in different electorates in the North and East. G.G. Ponnambalam made minced meat of the Federal Party in its early years, lampooning its lawyer politicians led by S.J.V. Chelvanayakam, Q.C., “weekend politicians and (Supreme Court) vacation patriots,” and trounced the federalists in their first electoral contest in 1952. Four years later, the Sinhala Only fiasco punctured Ponnambalam’s sails and gave the Federal Party an unexpected boost. Although it is now part of the ITAK fable that the party’s founding was a rare instance of political farsightedness, it will not be uncharitable to say that its premise of federalism was a solution waiting for a problem. The more significant point is that Chelvanayakam’s upping the ante to federalism from Ponnamabalm’s ‘responsive co-operation’ under the Soulbury Constitution had more to do with outdoing Ponnambalam electorally than it had to do with protecting Tamil interests politically. Ponnamabalm could not cry foul because he had similarly upended the Ramanathan-Arunachalam family leadership in Tamil politics. It would be stretching hindsight to see the beginning of an autonomist-secessionist continuum in the founding of the Federal party. Too much mileage has also been taken out of the English and Tamil names of Chelvanayakam’s Party. The term ‘arasu’ is the Tamil version of the term ‘state’ and like the latter it could be used to describe a stand-alone state or the member-states in a federal union. Further, the Tamil name of the Party clearly placed ‘Tamil Arasu’ (Tamil state) within the broader compass of Ilankai (Lanka). The grave tactical mistake of the Federal Party was in severing federalism from its inclusive Sri Lankan genealogy – beginning with the airing of the federal idea by S.W.R.D. Bandaranaike in the 1920s, its espousal by the Kandyan Sinhalese before the Donoughmore Commission and the federalizing features that were included in the Donougmore Constitution –and turning it into an exclusive Tamil claim. Federalism became the ‘F’ word in Lankan politics. The federalist propaganda also contributed to making the resolution of the national question into an unnecessary either/or contest between a unitary constitution and a federal constitution – ultimately setting it up for Felix Dias’s eccentric and mischievous designation of Sri Lanka as a unitary state in the 1972 Constitution. In between, two Prime Ministers (S.W.R.D. Bandaranaike and Dudley Senanayake – and no one can say that they were unpopular or unrepresentative Sinhalese leaders) willingly entered into agreements with the ITAK leader, S.J.V. Chelvanayakam, that would have moved the Sri Lankan state to a politically acceptable location on the continuum between federal and unitary constitutional poles. Both agreements foundered because of orchestrated political opposition not only among the Sinhalese but also the Tamils. It was not only the UNP that was the villain of the piece against the 1957 B-C Pact, for there was Tamil Congress synchronizing opposition to the pact among the Tamils. When the tables turned in 1965, and the SLFP and its coalition allies turned against the Dudley-Chelvanayakam Pact, there were rumours that a copy of the draft pact was prematurely leaked to the opposition presses by Tamil Congress people even though the Congress was part of the National Government. The Tamil voters sent packing the few separatists who came forward but neither Amirthalingam nor his Party could have foreseen in 1970 that seven years later they would be asking the same voters for a mandate to separate. The Vaddukoddai Resolution in 1976 was not a continuum but an abrupt departure from the earlier positions of all mainstream Tamil political leaders. Significantly, Mr. Sampanthan makes no reference to the Vaddukoddai resolution in his Batticaloa speech. He could not have – while expecting “a solution to the ethnic problem of the sovereignty of the Tamil people (is) based on a political structure outside that of a unitary government, in a united Sri Lanka in which Tamil people have all the powers of government needed to live with self-respect and self-sufficiency.” Why did Sampanthan mix up the expectation of a solution within a united Sri Lanka with allusions to “external self-determination” and “soaring aspirations?” The more pertinent question is what is going to be the consequence of this mix up? The mix up has a historical parallel to the qualification that was significantly NOT included in the Vaddukoddai resolution. According to TULF insiders at that time, a body of sober second thought in the TULF with Amirthalingam’s support wanted to qualify the exercise of the right of self-determination by the Tamils within Sri Lanka if possible, or outside if necessary. But the possibility of achieving anything within Sri Lanka was not acceptable to the youthful hotheads. The resolution went ahead without the sober qualification that took its cue from the Indian National Congress. The qualification would have given the TULF leadership greater moral consistency in pursuing a viable alternative to Eelam after the 1977 elections. As it became evident later, the TULF and the UNP leaders had reached an understanding even before the election to pursue an alternative to Eelam. This was notwithstanding the Vaddukoddai resolution. What transpired between them was a game of manipulative chess and not an honest process of political bargaining. The TULF leaders may have thought of using the LTTE and others as political subcontractors but before long the LTTE became the main contractor for the Eelam project on its own terms. President Jayewardene should have realized that by undermining the political efficacy of the TULF, he was only making it easy for the LTTE to push out the TULF. The undemocratic Sixth Amendment completed the transition. It is ironic now that the threat of consequences of violating the Sixth Amendment should be flung at Mr. Sampanthan. Not that anyone is serious about such a possibility but there is no end to surprises in Sri Lankan politics. There was no Sixth Amendment when the TULF adopted the Vaddukoddai resolution, in 1976, proclaiming Eelam but having the possibility of a viable alternative in its back pocket. Thirty six years later, with the Sixth Amendment and a long bloody war – which the infamous Amendment precipitated rather than prevent – in between, Mr. Sampanthan has turned the old resolution on its head. It is the realization of Tamil aspirations within a united Sri Lanka that is now the primary goal and the goal is unachievable without the government of Sri Lanka playing a positively preordained role. 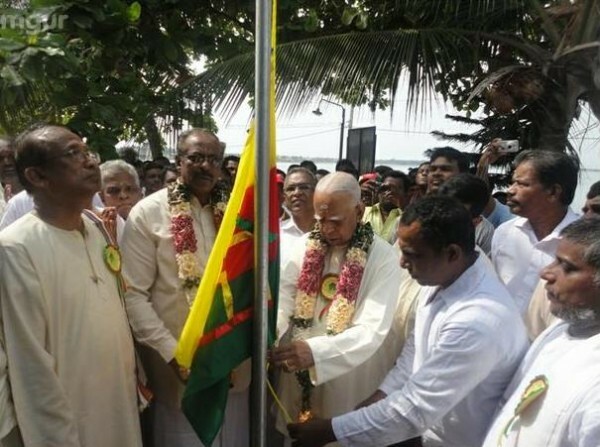 In alluding to soaring aspirations and external self-determination, Mr. Sampanthan did not commit Tamil politics to their realization, but practically devalued them as unviable unless they are made viable by the blunders of the Sri Lankan government. There was no place or role for the Sri Lankan government in the Vaddukoddai resolution, but the role and place of the government are shot through and through in the Batticaloa speech of Mr. Sampanthan. If there was a steady beam of laser through the speech amidst all its mixed signals, it was Sampanthan’s frustration with the postwar machinations of the government.